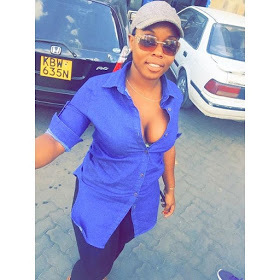 Risper Faith is with no doubt the socialite with the biggest ‘German juice.’ Her bright future behind her can make a poor man say that he will spend millions. Vera Sidika and Corazon Kwamboka have totally nothing on her. Her voluptuous curves have driven many men crazy, especially team mafisi. Her juicy assets are irresistible. No long ago, Risper Faith declared that she was ‘saved.’ She has actually seen the ‘light’ and she decided to be a bad girl gone good. Many people never believed her. As they say, words speak louder than words.